Before my son was even born, I always heard how hard the terrible two’s were. His first year was hard, really hard. It was a struggle and the greatest learning experience I could/would ever encounter, and I’m sure other parents would agree. 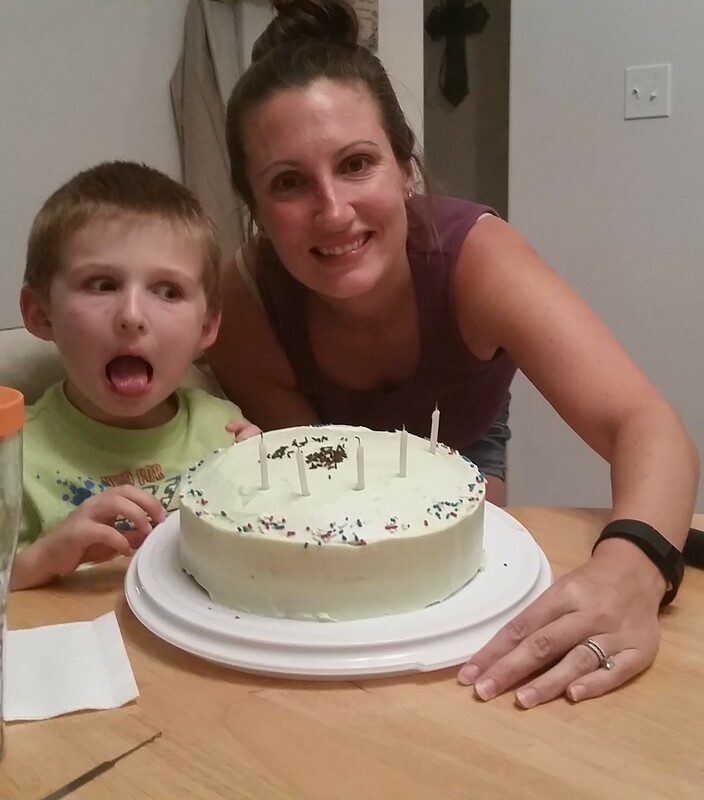 Fast forward to the terrible two’s…yep, they were terrible! Then I heard these whisperings of three being worse. Wait…what?? I thought after two, this whole parenting thing would be easy peasy. Ha! Boy was I wrong! With each new amazing developmental hurdle he accomplished that made my life more enjoyable, easier if you will, also came new challenges. Kids are born smart. Smarter than us parents! They are born knowing exactly which buttons to push to really irritate us. I decided right then and there, the first year, the terrible two year, and the year of the tenaciously tough three’s, that he could grow to be five. Five, I learned, was the magical year. Five was the year he could be reasoned with even when upset, he could do more things on his own, he could communicate his ailments, emotions, fears, excitement, etc. The perfect balance of independence and dependence (for mommy) could be achieved this year. At five, he was supposed to stop growing. But he didn’t. 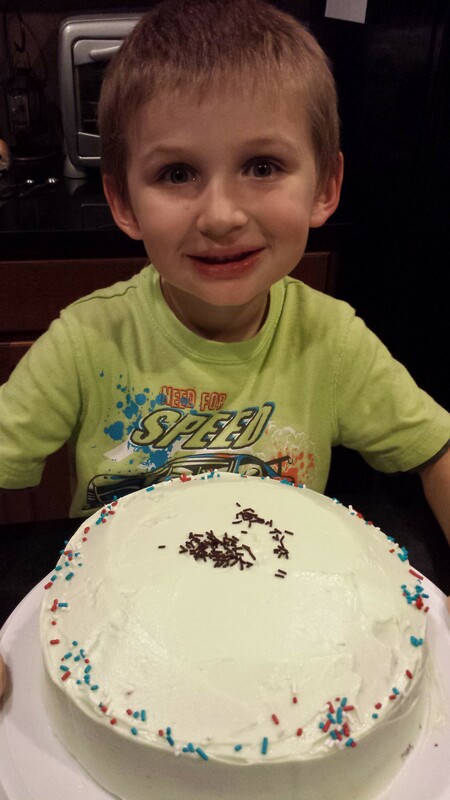 He helped make his cake!